The biggest update to the Pronamic Pay plugin is the support for add-ons. 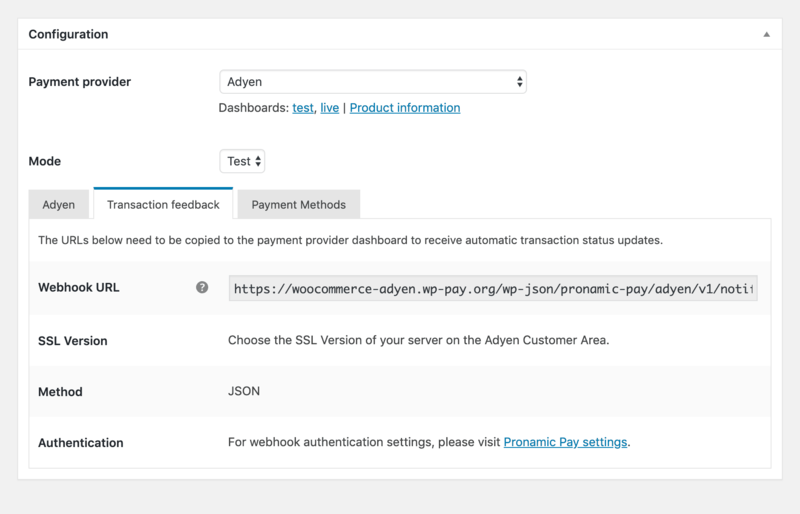 Via this way we now offer integration for Adyen for WordPress with the new Pronamic Pay Adyen Add-On. With this integration it is now possible to receive payments from all over the world. Payment provider Adyen supports all key payment methods from around the world. The Pronamic Pay Adyen Add-On uses the Adyen API and the Adyen Web SDK. For example we use the API for iDEAL payments. The advantage of this integration is that clients are send directly to the online bank environment of their own bank. For other Adyen payment methods like credit cards, the Web SDK integration is being used. This makes it possible for your customers to securely enter for example credit card details in a safe environment on your own website. Our Adyen integration does not use deprecated integration techniques like HPP or CSE. This makes the Pronamic Pay Adyen Add-On a future proof solution. At Pronamic we love quality code! To guarantee this, we use so-called quality assurance tools. The Pronamic Pay Adyen Add-On is automatically checked for multiple cases. For example, the add-on is fully compatible with the latest WordPress Coding Standards. More than 85% of all code in the Adyen gateway integration is covered by tests. With new developments, tests are run to make sure that existing functionality continues to work properly. 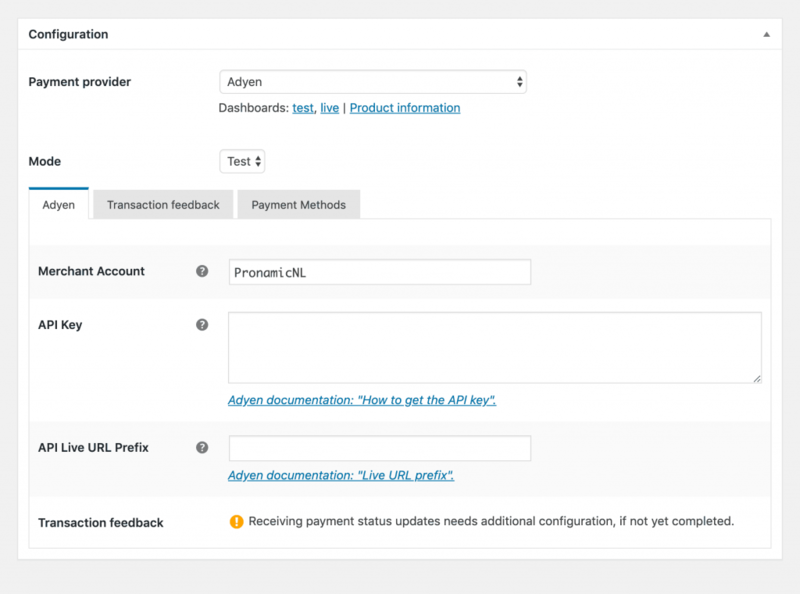 The Adyen integration is not part of the Pronamic Pay plugin itself. For the integration with Adyen we made an add-on plugin. This add-on still requires the Pronamic Pay plugin. With this new setup we also changed our licensing model. The ‘Single Site’ license is now called a ‘Basic’ license. The ‘5-20 sites’ license is now called a ‘Developer’ license. The ‘Pro’ license is a new license. The Pronamic Pay Adyen Add-on is available within the ‘Pro’ and ‘Developer’ licenses. More information about the plugin and pricing can be found on the Pronamic Pay product page. Our new integration of Adyen for WordPress is ‘future proof’ and available from now on! Purchase your license now and start accepting payments through Adyen from your WordPress website.